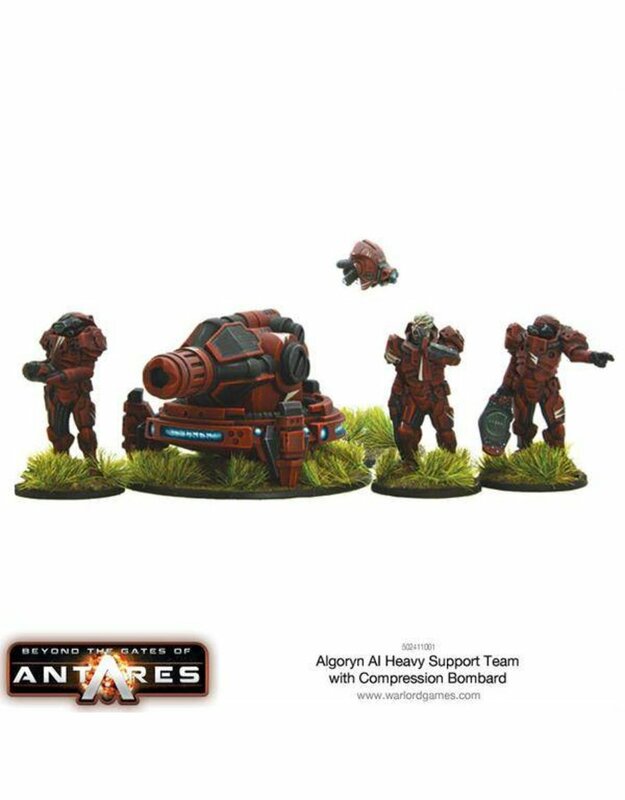 This weapons huge range combined with the compression effect removing all cover makes for one devastation addition to your Algoryn forces! Compression weapons use compression ﬁeld technology to quantum reduce everything within a narrow ﬁeld projected by the weapon – eﬀectively scrunching matter to nothing. As with other compression weapons, the compression cannon doesn’t function at very short ranges and its eﬀectiveness drops oﬀ very quickly over long range. The chief advantages of the compression weapon compared to plasma equivalents are its eﬀectiveness against close targets – so long as they don’t come within the weapon’s limited compression range – and its ability to compress any cover the target is taking advantage of. As with all larger compression weapons it can suﬀer from momentary ﬁeld collapse but that's a minor issue when you can crush all before you!